The band was formed by two former members of Frank Zappa's Mothers of Invention: songwriter and guitarist Lowell George, who also provided vocals and slide guitar and Roy Estrada on bass guitar. They were joined by drummer Richie Hayward and Bill Payne on keyboards and vocals. The name of the band came from a comment made by Mothers' drummer Jimmy Carl Black about the diminutive size of Lowell's pedal extremities. There are two legends about the genesis of Little Feat. One has it that George showed Frank Zappa his song Willin, and that Zappa fired him from The Mothers, because he felt that George was too talented to merely be a member of his band, and told him he ought to go away and form his own. The second version says that Zappa fired him because Willin contains drug references ("weed, whites and wine"). Ironically, when Willin was recorded for the first, eponymous Little Feat album, George had hurt his hand, and could not play the slide part on the song: Ry Cooder was drafted in to play this part. This was one reason why Willin' was re-recorded and included on the lineup for their second album Sailin' Shoes. Sailin' Shoes was also the first Little Feat album to include cover art by Neon Park, who had painted the cover for Zappa's Weasels Ripped My Flesh. The first 2 albums, Little Feat and Sailin' Shoes, received virtually unanimous critical approval and George's song Willin' became a classic, subsequently popularized by its inclusion on Linda Ronstadt's album Heart Like A Wheel. However lack of commercial success led to the band splitting up, with Estrada leaving to join Captain Beefheart's Magic Band. 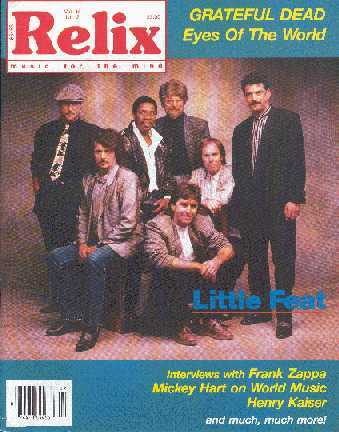 In 1972 Little Feat reformed, with bassist Kenny Gradney replacing Estrada; the band also added a second guitarist/vocalist, Paul Barrere, and percussionist Sam Clayton. This new lineup radically altered the band's sound, creating more polished but funky elements and new songwriting capabilities. The group went on to record Dixie Chicken (1973)-one of the band's most popular albums, which incorporated New Orleans musical influences and styles-as well as Feats Don't Fail Me Now (1974), which was a studio-recorded attempt to capture some of the energy found in many of their live shows from around that time. The album concludes with a medley of Cold, Cold, Cold/Tripe Face Boogie - songs from Sailin' Shoes - reworked in a "live" style. Little Feat reached a musical peak in this mid-1970s period. Although outdone in sales and popularity by other rock contemporaries, they had built up a solid audience through their album releases and incessant touring, and were hailed as groundbreaking by many music critics. Proof of their musical influence was the fact that they could count members of The Rolling Stones and Led Zeppelin among their loyal fans. Mick Taylor can be heard guesting on Waiting For Columbus. Lowell George was respected for his idiosyncratic genius for crafting sophisticated melodies and lyrics and his high production standards. However, George is best remembered for his exuberant, unique slide guitar style -- long, sustained, ringing legato lines; and his soulful, expressive voice has influenced many performers. The release of The Last Record Album in 1975 signaled another change in the Little Feat sound, with Barrere and Payne developing their interest in jazz-rock, which was further extended in 1977's Time Loves A Hero. Prior to the recording of The Last Record Album drummer Ritchie Hayward parted company with his motorcycle at high speed . The sleeve liner to the LP version of this album was decorated with copies of his many hospital bills. Also present was evidence of a late change to the running order of tracks. The lyrics for Paul Barrere's song Hi Roller were printed on the sleeve, but scored out, and the words "maybe next time" scrawled over them. Sure enough, Hi Roller was the first track on the following album Time Loves A Hero. Lowell George continued to produce the albums, but his songwriting contribution lessened as the group moved onward into jazz-rock territory. 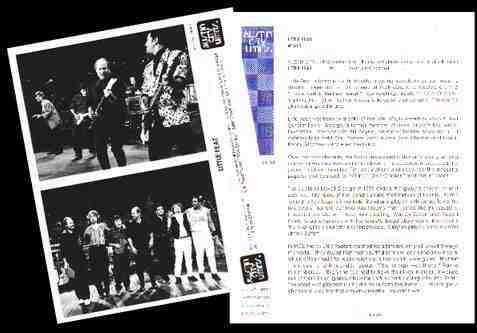 In August 1977, the band recorded a live album from gigs at The Rainbow Theatre in London and Lisner Auditorium in Washington, DC. Waiting For Columbus is considered by many rock music critics to be one of the best live albums of that decade. It was released in 1978, by which time it had become apparent that Lowell George's interest in the band was diminishing, as was his health. George did some work on what would eventually become Down On The Farm but then recorded a solo album Thanks, I'll Eat it Here and declared that Little Feat had disbanded. During touring for Thanks, I'll Eat it Here in June of 1979, at the age of 34, George was found dead in his hotel room in Arlington, Virginia. An autopsy found the death to be caused by a heart attack, although it is considered likely that George's weight, (formerly chronic) drug usage and the stress of touring contributed to his condition. The surviving members finished and released Down On The Farm before disbanding in 1979. A subsequent retrospective double album compilation of rare outtakes and live tracks, Hoy-Hoy! was released in 1981. In 1988, after a long break, the group reformed again when Barrere, Clayton, Gradney, Hayward and Payne added songwriter/vocalist Craig Fuller, formerly from the band Pure Prairie League (who also provided some rhythm guitar), and Fred Tackett on guitar, mandolin and trumpet. The band admired Fuller's previous work and were impressed when he toured with them in 1978 as part of the Fuller/Kaz band. They did not even request an audition, simply advising him they wanted him; and the reformation of Little Feat was complete. 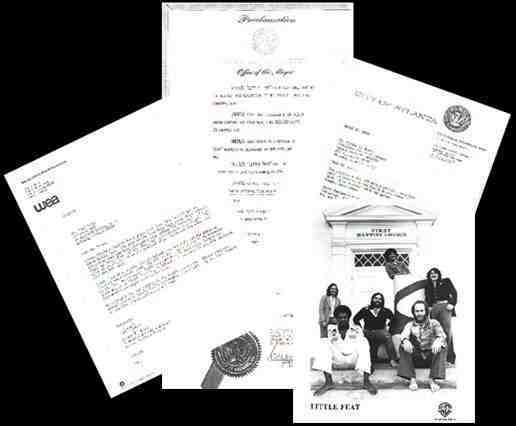 The initial release by the new lineup, Let It Roll, was a tremendous success, garnering Feat its first gold record LP since Waiting For Columbus which now had gone platinun. The band received more exposure than ever, including an appearance on Saturday Night Live. Concerts were booked nationally and Little Feat played enthusiastic, sold out shows. Fuller's vocals and high energy were a primary reason for the success. Barrere, Payne and company were pleased by the audience reaction: not only were they able to put over the Feat classics, but the new music was solid. While there were a few Little Feat diehards who could not accept the band without Lowell George, Little Feat with Fuller made a comeback that not only resurrected the old music, but introduced a whole new generation to Little Feat. Fans who were unfamiliar with the band were enthusiastic, even seeking older Little Feat recordings. Little Feat released two more recordings with Fuller, and the band continued to tour on a large scale. However, many of the radio stations and venues who supported this music began disappearing. Fuller departed in 1993, stating that touring required too much time away from his family. His contribution to the history of Little Feat cannot be overstated. In September 1993 Fuller's vocals were replaced by those of female singer Shaun Murphy. Murphy began her career working in Detroit, Michigan, most notably in theatre, and received a record contract with Rare Earth Records, a division of Motown Records, as a member of a duo with notable recording artist Meat Loaf. The duo later disbanded, and Murphy went on to sing and record with renowned artists such as Eric Clapton and Bob Seger. Fuller's departure proved to be a difficult hurdle for Feat, both in the studio and live. The band had to take a new approach. With Murphy, the tone of the live shows is more relaxed, and lends itself to more free-flowing jams, which other members of the band seem to prefer. The studio albums with Murphy failed to attract many of the Feat fans who had followed them with George and Fuller. The current line up found some critical acclaim and continue to attract a faithful following, especially from the baby boomer generation. 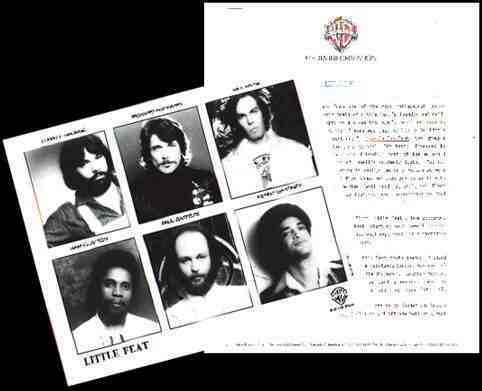 Some of the prominent musicians and bands to play and record the music of Little Feat include The Byrds, Garth Brooks, Jackson Browne, Emmylou Harris, Nicolette Larson, Randy Newman, Robert Palmer, Bonnie Raitt, Linda Ronstadt, John Sebastian, Carly Simon, Van Halen, Joe Walsh, Phish, and Bob Weir. Little Feat tours all over the world and is regarded by many music critics as a "band's band" and one of the greatest rock bands in history. 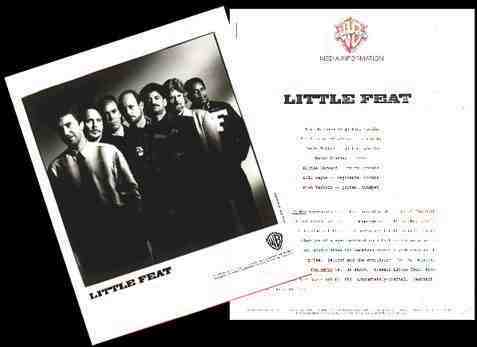 The majority of Little Feat album releases through 1990 can be found in the Warner Brothers Records catalog. 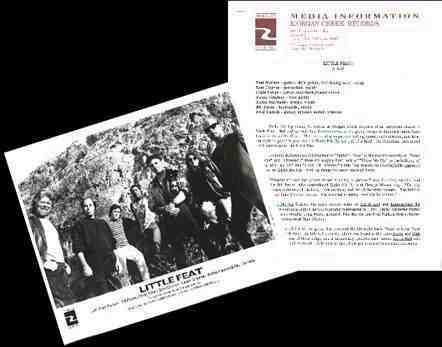 In 2002 Little Feat launched their own record label, Hot Tomato Records. 9 little feat: hoy-hoy ! 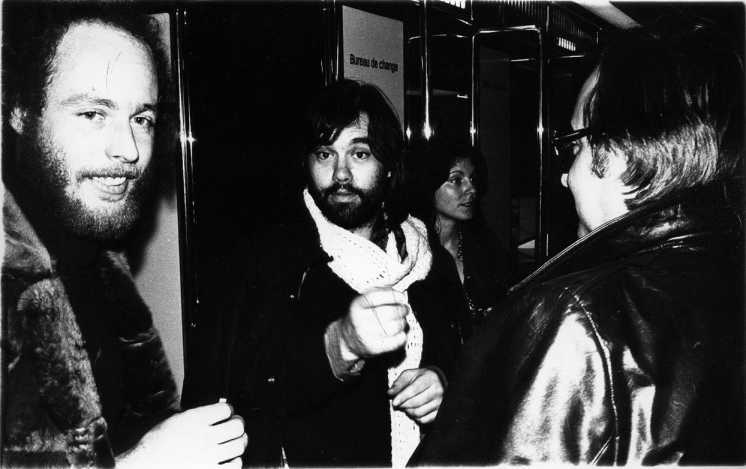 Lowell George at the airport at the beginning of the Little Feat tour with the Warner Brothers Music Show. 1974.
little feat's austin city limits appearance. "Henry Kaiser: One Band Gathers What Another Band Spills" by Jeff Tamarkin. "Kaylan and Volman Trash 1988 & Launch 1989 at the Bottom Line" by William Ruhlmann.